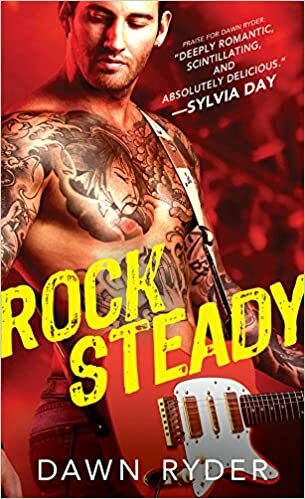 A rock star romance,a weakness for me…so I had to request it 😉 I loved book one and really enjoyed being back with Toxin. Though this story features Ramsey we still see the other band members, just the sort of read I enjoy best. I laughed at parts of this – the start, Ramsey and That Tattoo – brilliant. I kind of sympathised with the groupie… though she did know what she was getting into so it wasn’t really fair, but what a revenge!! Jewel – she was a terrific character, felt very real, a strong lady. She’s got past issues too and yet she’s worked to get past them. I do like ladies in novels that don;t just curl up and depend on a man, but run their own lives. Ramsey doesn’t know it but she’s just what he needs and vice versa. Jewel doesn’t need a “yes” man, but one who will understand her need for independence, and their romance was so explosive in the physical way. Yet the mental parts, the way they needed to adapt to each other took time and proved the for me much needed heartbreak section. I love the drama, and don’t want a sweet easy read. the more setback and hard parts to work through the greater the reward IMO and this book was perfect for that. .